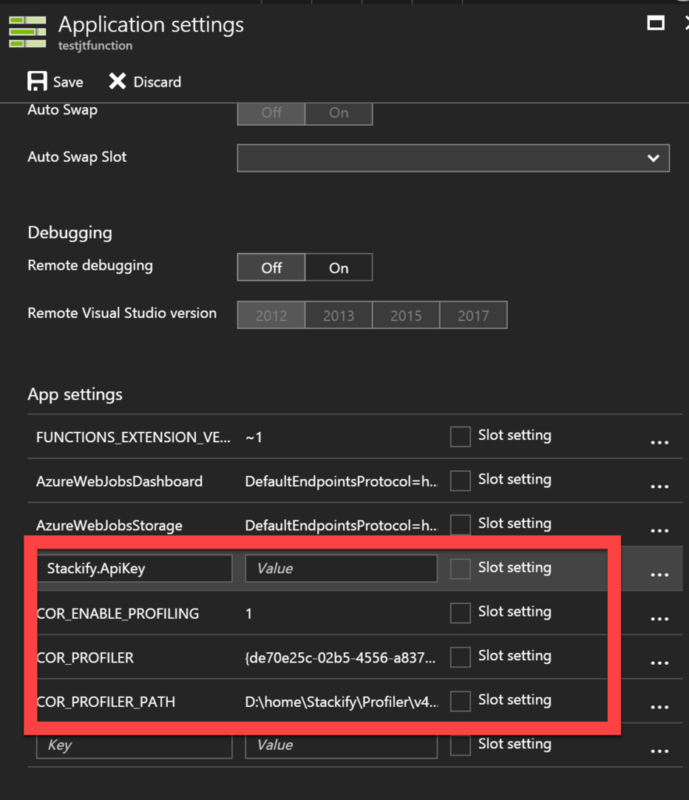 Retrace supports Azure Functions in App Service Plan mode. It supports all of the same dependencies and will provide all of the same great insights to application performance as it does for web applications and windows services. App Service Plan mode only! Retrace does not work in "consumption" mode currently. Retrace works essentially the same for Azure Functions as it does for normal App Services. The .NET Profiler is enabled for your application to do lightweight profiling. We also run our agent as a Web Job to collect the data and upload it to Retrace. Note: For normal App Services, we don't require setting the 3 "COR" settings. 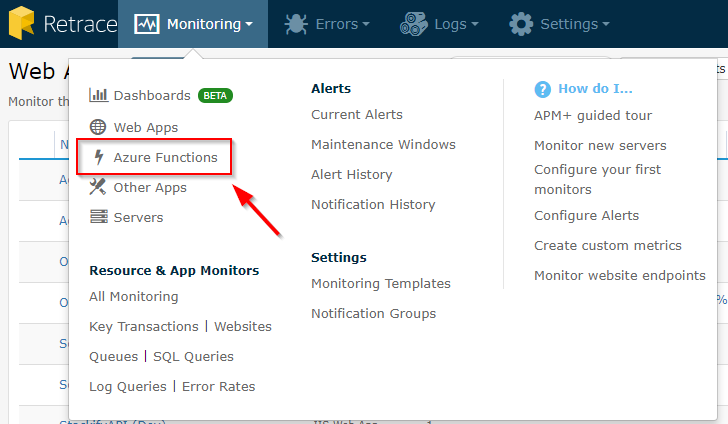 Azure Functions will now show up as its own option when you click the "Monitoring" tab at the top. They will be listed like Web Apps and Other Apps.